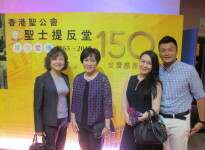 For the SKH St Stephen’s Church’s 150th anniversary celebrations, CPF is very honoured to sponsor the Thanksgiving Concert on 4 July 2015. 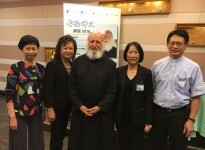 The Mrs Mok Hing Yiu Lecture is an annual series of lectures sponsored by CPF under Mrs Rita Mok’s name and organised by the Hong Kong Sheng Kung Hui subsidiaries. In collaboration with the Rachel Club of St James’ Settlement, the SKH St James’ Church Sunday School let nursery and kindergarten children learn about Biblical stories through creative activities. 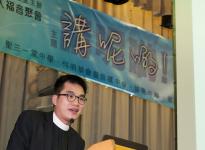 CPF supports an annual evangelist event, named Mrs Mok Hing Yiu Gospel Rally, that proclaims the Gospel using examples students in Hong Kong can relate to. Senior members of St. Stephen’s Church, St. Luke’s Church and St. Timothy’s Church can seek assistance from the part-time social worker funded by CPF and stationed at St. Stephen’s Church. Distinguished international theologian Professor Miroslav Volf from Yale University delivered a lecture on “Culture of Respect: Following Christ in a Diverse World”. Our support enables the finances needed for compiling, obtaining copyrights and printing and updated hymn book for HK's Anglican churches and schools. The new musical instruments & equipment donated by CPF to St. James' Church helped and will continue to help extend the Gospel of God through the church's musical programme. To commemorate Mr Danny Ho’s love and affection for St. John's College, HKU and to continue his support to the College, CPF pledged to the refurbishment of the dining hall project.